Making a quilt…..one stitch at a time. We all know what a busy and stressful time of year this can be. From what I am hearing, social protocol dictates that I should be baking!! We all also know the best way to get through the busy-ness and the stress is to find a quiet, relaxing activity…like quilting! The very moment I sit down to quilt, whether its hand-applique, hand-quilting or even stitching a block together on the sewing machine, I can feel the tension and stress melt away. Like this snowman! I have been slowly working away on the next block of Sue Garman’s “Friends of Baltimore”. I opted to do the flower buds flat, rather that dimensional, as the pattern suggested. Also, I am still stitching the evenings away with a quilt (and sometimes a cat!) on my lap. « No room to sew! I agree. It does melt the stress away. WHEN I can find the time. :) Love you snowman example so much!! The last picture of the snowman is how we should all feel! nice snowman! hi Bruin! Just looking at you quilting and your blocks calms me…. I know! just remember…stay calm and stitch!! Aww, cut little silly putty snowman! You are coming right along with your next quilt. The colors are lovely! And of course, your quilting looks great! Even your cat thinks so!! Take care! Mr. Snowman had me positively giggling! Check out my new website! I am a quilter who is passionate about Hand-Applique. If I inspire just one person, my job will be done!! 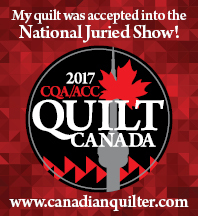 I am thrilled to share my quilts with a (hopefully!) appreciative audience.....my family just rolls their eyes! I live in Barrie, Ontario, Canada. Tim Latimer – Quilts etc. Create a free website or blog at WordPress.com.